Doi Chaang rests on a mountainous hillside that is uniquely enriched to produce the very best coffee beans. The plantation is surrounded by lush old growth forest and fresh flowing spring water in the Golden Triangle Mountains of Thailand. This Doi Chaang single-estate coffee consists entirely of Peaberries, a kind of bean that results when the coffee fruit develops only a single, oval bean rather than the usual pair of flat-sided beans. Peaberries produce a somewhat different (often better) cup than normal beans from the same crop, Cultivating coffee under a canopy of various shade trees enhances the micro-climate of the area. A balanced ecosystem is created which mirrors a natural forest setting and ensures quality coffee bean production. This Doi Chaang Peaberry is a rare single-estate, certified organic, shade grown, hand-picked, fresh water washed and sun-dried speciality coffee and one in which we are particularly pleased to offer. A massive passion project spearheaded by the work and vision of John M. Darch, a man with limitless drive to convert a down-on-its-luck village in Northern Thailand from oppressive opium farming to the farming and processing of coffee in the highest order. We are pleased to offer this coffee sourced and roasted to perfection. 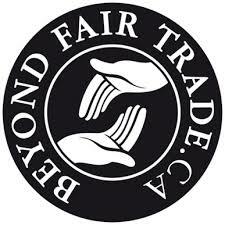 Beyond Fair Trade means offering beyond Fair Trade premium prices and supporting a unique partnership with farmers. It means offering customers a product that is certified USDA Organic and of the highest quality available. CUPPING NOTES: Spicy and earthy aromas give way to a creamy body, with flavours of dark bakers chocolate, roasted nuts, subtle stone fruit and tobacco in the finish.